Equestrian artist showcasing her original equestrian paintings of arabian horses and portraits of people, horses, dogs and wildlife including hunting scenes and sporting pursuits. 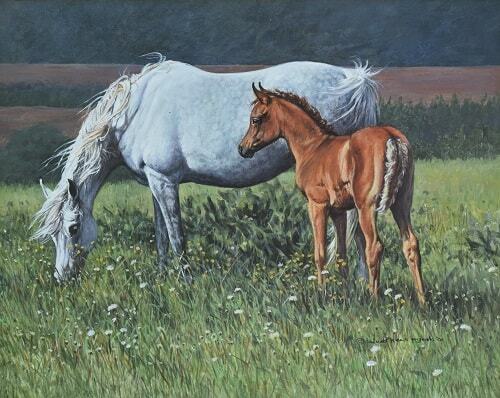 Judi is an exceptional horse artist who lives, loves and breathes horses. 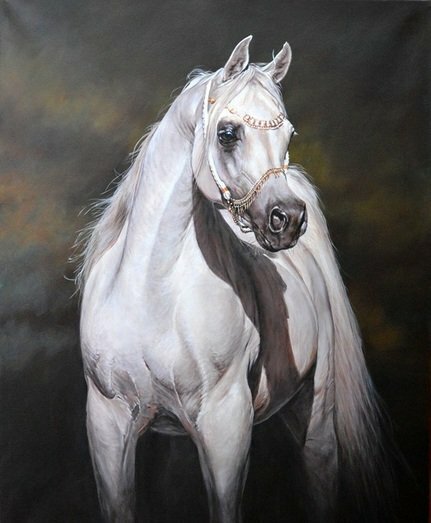 Her love of arab horses and everything equestrian is defined in her paintings and artwork. 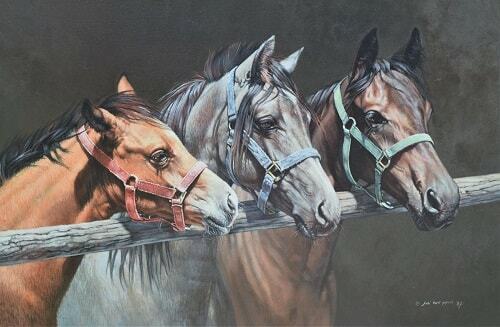 Welcome to the website of Internationally acclaimed British equestrian artist Judi Kent Pyrah. With a lifetime's experience working with horses Judi Kent Pyrah has a special fondness for Arabians that is evident in her work. From a young age and throughout her early years Judi found many opportunities to work with horses in private yards exercising hunters, polo ponies, pacers and western riding and cutting horses even the odd camel or two! ​Judi has travelled extensively and taken the opportunity to see, ride and experience many different breeds and styles. This has giving her intimate knowledge and experience of the animals she loves, enabling her to recreate their beauty and majesty with detailed accuracy which extends to many equestrian sports such as carriage driving and eventing. These three beautiful paintings by Judi Kent Pyrah are available in her summer sale. Please use the contact form if you wish to purchase one of these gorgeous paintings. After owning her own horses and earning a BHSAI in later life, Judi took up endurance riding in her forties. It was then, with her horse "Ginha", that she fell head-over-heels in love with the Arab horse breed. 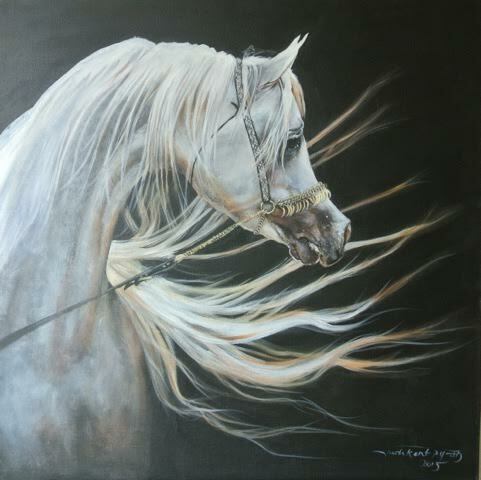 Judi paints from this intimate knowledge and passion of horses and arabians. Since retiring from the showground, she now has more time to indulge in painting all animals, but her love of horses, dogs and equine pursuits will always win out when she’s presented with a blank canvas on which to paint on. Judi is a lifelong pet owner and understands the special bond we have with our animals, dogs and horses. She now mainly paints private commissions which allow her to share in and capture the memories of her clients and their owners. Judi Paints anything and everything form Hunting Scenes, Show Jumping, Horse Racing, Dressage, Endurance Riding, Cross Country, Polo, Western, Cowboys, Gymkhanas and Portraits. 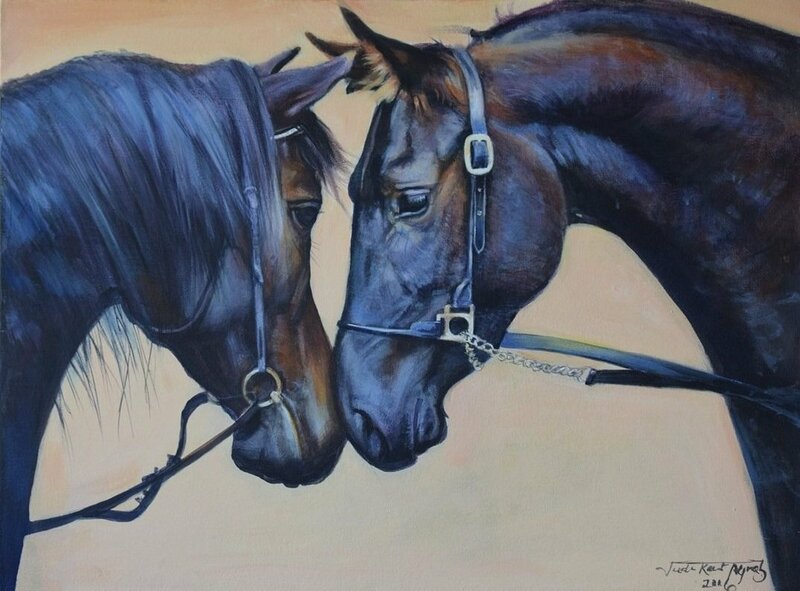 ​ If you are interested in Judi Kent Pyrah equestrian artwork, Original Equestrian Paintings or Limited Edition Equine Prints or if would like to join the artists newsletter please click on the box in the contact section below. Or if you would like to commission an original painting please telephone or email Judi directly, who will be happy to discuss any requirements or artwork queries. 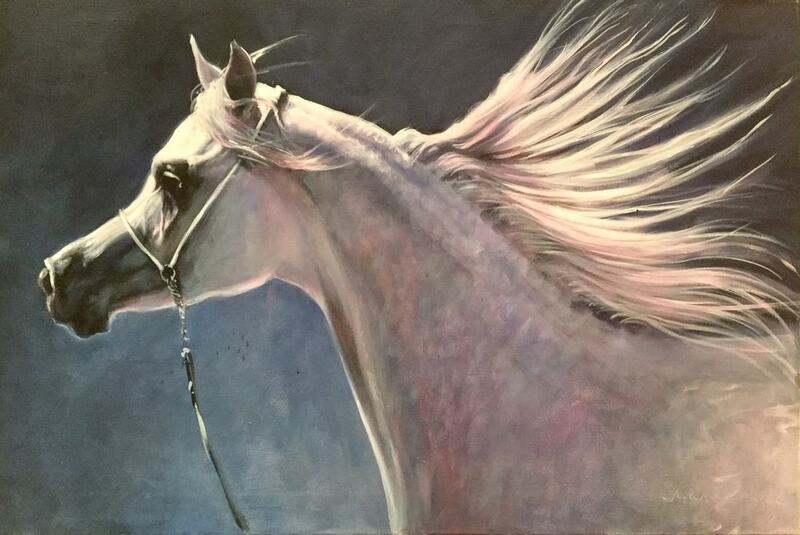 "Horses for me are almost as essential as breathing"
Internationally acclaimed equestrian artist, Judi Kent Pyrah's natural artistic talent was nurtured since childhood. At 17 she began painting portraits of dogs and horses for a living and cherished a dream of a life painting and working with horses. 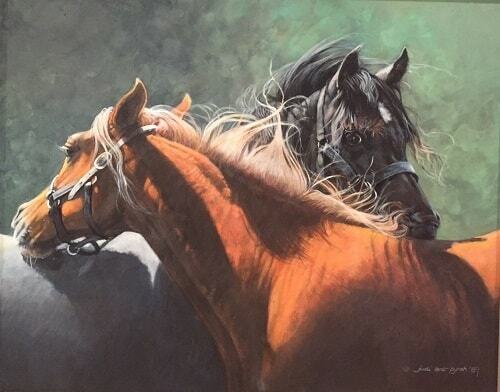 Judi's paintings have been exhibited and published in Canada and America for many years and more recently in the UK, with over fifty published artworks featuring mostly equestrian and canine subjects. 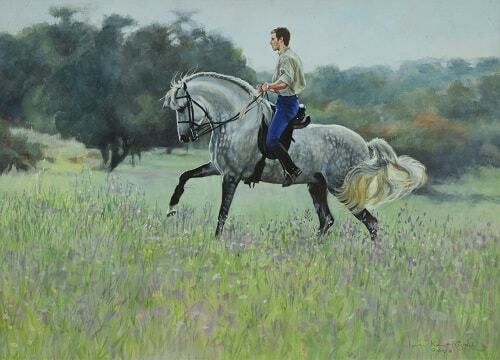 Judi Kent Pyrah is one of UK's leading Equestrian Artists. Her ability to capture the movement, power and attitudes of her subjects has made her a much sought after equine painter. "I'm knocked out by her work! I raise horses and rarely have I seen an artist with such empathy for her subject......She's great!" If you wish to be kept notified of her new and latest equine paintings and of news and events that Judi is participating in please fill in your contact details opposite and we shall add you to her mailing list and newsletter.